Pitching is definitely the most important weapon in a team’s arsenal. There is a reason why the starting pitchers are always named well ahead of game time. Major League Baseball managers will be the first to tell you that a team can only go as far as their arms will take them. The unsung heroes of most pitching staffs and winning bets are not the starters but the relief pitchers who lurk deep down the foul lines on either side of the field in the bullpen. Paying attention to MLB bullpens will can and will increase your chances of winning at baseball betting. The bullpen in baseball is like the fine wine that compliments a perfect meal, or the choice ice cream that accompanies your favorite pie. 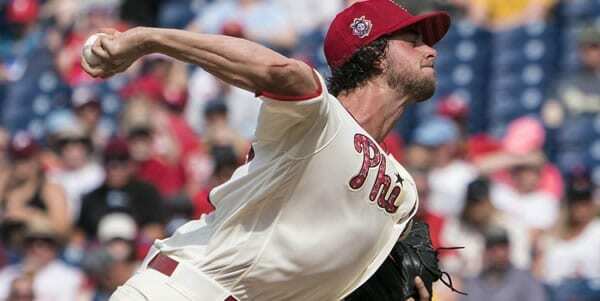 Randy Johnson could usually dominate a game as a starter but it would mean nothing if the closer failed to do his job. If you look back at most successful baseball teams you will discover that they almost all had dominate starting pitching and a stellar bullpen. Ok, so what do we look for in the bullpen if we decide to place a bet on a certain team? Great question, which may seem obvious to those who know the game, but what about those of us who might not bleed and breathe baseball? Well, let’s explore the bullpen operation. First, if you’re betting on a team’s bullpen based on how they’ve done all season; don’t. A bullpen is a sensitive unit that can change its look, literally on a daily basis. To be a confident gambler who’s looking to gain an edge on a wager you should focus on what the bullpen has done in the last 10 games only and you can even make a case for “micro-capping” their last 5 games. Most modern-day bullpens are well stocked with a variety of “specialist” such as left hand chuckers who may only be used for one particular batter (Ray King, Arthur Rhodes are a couple old timers that come to mind). Lefty’s, also known as LOOGYs (lefty out only guy), are often used to get a weak right handed switch hitter or a left handed batter out. You also want to look at the entire bullpen as they are not used the way use to be when a relief guy would enter a game and throw 2, 3, or even 4 innings. In today’s game we have the middle relief pitchers, the set-up pitchers, and finally the almighty closer who usually makes the dramatic entrance in the eight or ninth innings. If you remember the timeless baseball movie classic Major League you may recall their closer (Charlie Sheen) who was appropriately named “The Wild Thing”. This over-the-top perception of today’s closer actually wasn’t too far off. But what kind of stats and conditions are we looking for that supports our decision to bet on a team based on their bullpen? You must respect a bullpen’s ERA (earned run average) but don’t go by the entire year as some bullpens might have given up a lot of runs in a single game that may have superficially skewed and inflated their numbers. Let’s take the Cincinnati Reds for example, they have a 3.93 ERA (referring to May 2009 stats), but that is slightly higher than the MLB average for bullpens which is around the high to low 3’s. These numbers are based on an early 12 runs allowed in their first four games, and they do not represent an accurate account of how well the Red’s staff really are performing. Other important stats and conditions to consider are the amount of runs given up by an individual pitcher, number of hits, and how long they’ve been in a relief role. These factors may seem obvious but they are key indicators of how well a staff is doing. Veterans of the bullpen bring a much needed confidence and savvy that perhaps younger pitchers lack especially when it comes down to crucial game-winning situations. It’s a good idea to keep tabs on updated injury reports, what pitchers have done against a team in the past, who will be available for the current game based on if they were used last night (or few nights) and how a bullpen has faired at home versus on the road. The days of Dennis Eckersley or Goose Gossage coming in to finish off a game are nearly long gone as now days it often is a combination of two or three different guys. In any event, it pays well to do your homework and research the last ten games to see how the bullpen has performed. Luck to ya.